At first, I was concerned that my vision for what I wanted wouldn't be realized and I would end up accepting something I didn't love. That concern did NOT come true. I absolutely love my color palette and the elegant look of my website. It was more than I ever envisioned! Although Jessica’s creativity and beautiful style is huge on my list, the part I probably appreciated the most was her attention to detail on the website development side. She painstakingly went through every page and every line to make sure the fonts, colors, spacing and pictures were perfect. This is something I don't feel I would have done well had it been left to me. Jessica is a consummate professional. It is totally worth it to hire her as you won't be disappointed. She does an amazing job from design, to build, to follow through. My biggest concern before hiring Jessica was that we wouldn't click, that she and I wouldn't be on the same page and I would pay for a new web site that I kind of liked but didn't love. I loved every part of working with Jessica. Her warmth and personality, her love for God and others, and her ability to produce such beauty on a web site. She was very open to all of my crazy ideas and opinions, and our "work" didn't feel like work at all, though it took many hours to complete. Jessica is a beautiful woman of God, and it was absolute joy working with her. I hope to have an opportunity to do it again soon. I have already recommended Jessica to someone. The minute my friend said she was looking for someone to help her create a new web site, I told her about Jessica, her talent, and her ability to produce on time. I will continue to tell people about her and her amazing design gifts! I love you, Jess! My biggest concern was "will my website really work this time and turn out the way I want it to look?" It totally did. Jessica was well organized and kept me organized in my thoughts and layout of my site. She did an amazing job. I couldn't be happier! Reliability and hands-on guidance to my project was one of my many reasons I loved working with Jessica. You have to hire Jessica to build your brand and website. She is talented, smart and does awesome work. I absolutely love my brand and my website and I'm proud to show it off because it is totally me! I was nervous that my designer aesthetic would not be translated into my branding but I was so wrong. Jessica made my brand come to life! She is so easy to work with; she listened to my needs and delivered a product that was beyond my expectation. Jessica is so creative and makes your small business look like a large company with the use of her branding and web design. I would highly recommend her! I wanted to have a professional looking website that was also on-brand. Jessica was integral in making that happen, and I couldn't be happier with the final outcome. I loved Jessica's flexibility and ability to translate my ideas into a website that speaks to my aesthetic. I'd say Jessica is not only talented but also kind and truly is interested in making her clients happy. Loved working with Jessica and plan to continue doing so. Thanks so much for everything! I am not creative at all so I was really worried about how to design my website and make it feel warm and comfortable. Jessica was amazing at this. She listened first and foremost and then brought my vision to life! Jessica made this whole process so easy. She literally handled everything from the smallest details to the larger decision of web host, etc. She was highly creative and really knew how to pull everything together to make it flow beautifully. I would highly recommend her. She made a very scary step totally easy. Her work ethics and professionalism are outstanding. Our biggest need and concern before hiring Jessica was that we really needed a logo and website for our new business. Jessica did a great job creating the logo based upon the vision I had. Our website turned out great too! My favorite part of working with Jessica was her patience. I would definitely recommend her to those around me and tell them that she would do a great job! Before hiring Jessica, I really didn't have any concerns. My favorite part of working with her ended up being her quick responsiveness and how efficiently she worked. Jessica does great work, has great ideas, delivers in a timely manner and takes direction well. It was a pleasure to work with her and I would definitely recommend her in the future! The idea of hiring someone else to construct a brand that felt like "me" was a little scary, because how on earth could someone know what I truly liked and needed? My photography business feels like my own baby and I'm very protective of it! I was afraid that by bringing in another person, it would "muddle" my brand or deter my vision off the rails. But I am happy to say that my concerns weren't even an issue! The beauty of working with someone who is not only skilled in design, but also in people, is that they can fine tune my crazy ideas and vision into a clear and concise brand that helps my business go forward into the direction I have always dreamed it to be. Jessica was able to not only hear my opinions about my likes and dislikes, but she was able to create a beautiful product that I couldn't have though of, and I am so proud of it! Jessica's patience and hard work was so appreciated, especially in the moments where I felt lost. When she delivered my mood and branding board, I literally gasped because I loved it so much! Even knowing that there were going to have tweaks made here and there, it was so encouraging to know that she "gets me" and my business. She truly connected with me and my personality in regards to my website and brand. I would recommend Jessica to anyone and everyone! Guys, trust the professionals. We can mess up our own brands and businesses by throwing in a million different ideas or "pinterest inspirations", but what a real designer will do is to narrow it all down into something that is uniquely you. And that's what we all want in the end, is to stand out and attract our ideal clients. Realize that it's a process, and that every aspect of it takes time and needs to be intentional. I loved working with Jessica and can't wait to see how my business continues to grow and thrive! 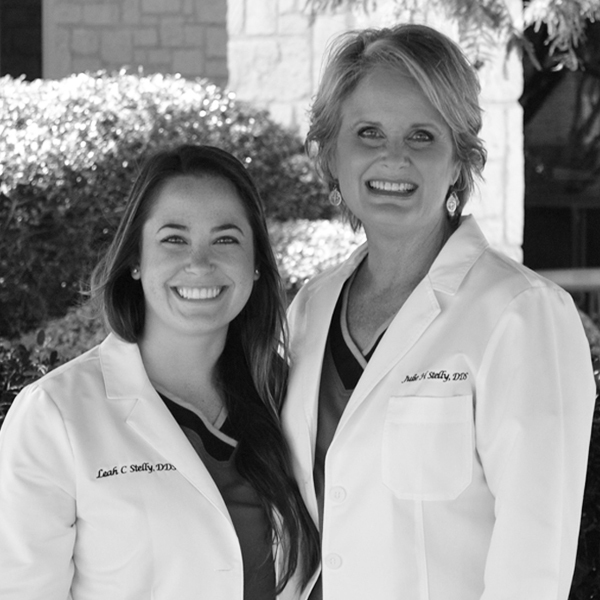 Our biggest concern before hiring Jessica was that we needed a website and a new overall brand for our dental office. We had tried with other companies, and were unhappy with the results. Jessica was exactly what we needed! She created two perfect brands for us to choose from, and then quickly and beautifully created everything we needed to complete the brand and website. Our favorite part of working with Jessica was her expertise and attitude! She was quick to respond and quick to provide the perfect ideas we needed. We loved everything! HIRE THIS GIRL! She is perfect in every way! She creates the best ideas suited specifically to you, and quickly implements them in the most beautiful style. Worth every single penny, times a million!! My biggest concern before hiring Jessica was professionalism and ability to deliver. It did not come true and was quite the contrary. I received very professional and prompt service from her! My favorite part of working with Jessica was that I really appreciated her ability to translate my ideas into visual reality with minimal need for change. If you want reliable and professional branding services, you should go with Post Design Co!